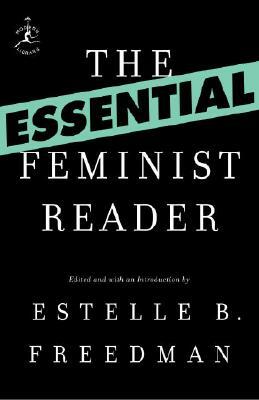 The Essential Feminist Reader is the first anthology to present the full scope of feminist history. Prizewinning historian Estelle B. Freedman brings decades of teaching experience and scholarship to her selections, which span more than five centuries. Moving beyond standard texts by English and American thinkers, this collection features primary source material from around the globe, including short works of fiction and drama, political manifestos, and the work of less well-known writers. Freedman’s cogent Introduction assesses the challenges facing feminism, while her accessible, lively commentary contextualizes each piece. The Essential Feminist Reader is a vital addition to feminist scholarship, and an invaluable resource for anyone interested in the history of women. For the past twenty-five years, Estelle B. Freedman, a founder of the Program in Feminist, Gender, and Sexuality Studies at Stanford University, has written about the history of women in the United States. Freedman is the author of two award-winning studies: Their Sisters’ Keepers: Women’s Prison Reform in America, 1830-1930 and Maternal Justice: Miriam Van Waters and the Female Reform Tradition. Freedman coauthored Intimate Matters: A History of Sexuality in America, which was a New York Times Notable Book. Professor Freedman lives in San Francisco.